Why should you have your air ducts professionally cleaned? According to the Environmental Protection Agency (EPA), the air inside homes can be several more times polluted than the air outside! Considering how much time we spend indoors, you don’t want to end up increasing your sensitivity to indoor air pollutants. There are more Pollutants in your Home then Outside! Periodic cleaning of your air ducts will remove contaminants like dust, dust mites, dander, and other airborne pollutants from your home. For those suffering from allergies or asthma, the quality of the air in your home is of even greater importance! Your home’s Heating, Ventilation, & Air Conditioning system (HVAC system) will also run more efficiently when the ductwork in your home is clean of pollutants and construction debris that may have been left over from when your system was initially installed. Why should you have your air ducts professionally cleaned? According to the Environmental Protection Agency (EPA) the air inside homes can be several more times polluted than the air outside! Periodic cleaning of your air ducts will remove contaminants like dust, dust mites, dander, and other airborne pollutants from your home. For those suffering from allergies or asthma the quality of the air in your home is of even greater importance! Your home’s Heating, Ventilation, & Air Conditioning system (HVAC system) will also run more efficiently when the duct work in your home is clean of pollutants and construction debris that may have been left over from when your system was initially installed. Lightfoot Mechanical provides home air duct cleaning and repair services to improve your indoor air quality so you can breathe easy and keep comfortable. Our air duct technicians utilize specialized cleaning equipment to guarantee the best results and maximize the quality of your indoor air. We clean the air ducts in your system individually, from the grill to the main component. We ensure the entire air duct is cleaned from top to bottom, including the coils, blower fan and drain pan. We can also help to prevent air leaks by repairing and sealing ducts and adding air sealing and insulation. Our specialized blowers, brushes and vacuums are used to dislodge and remove any debris, dirt, contaminants, and mold from your ducts, HVAC system, and vents. This will go a long way in improving the air quality of your home, by removing allergens known for causing problems. The benefits of getting your air ducts cleaned by Lightfoot Mechanical in Weatherford. Lightfoot Mechanical’s cleaning method removes all dirt, including dust particles, dust mites, pollen, and other allergens. Residential duct cleaning services are also important to check for mold, which can develop in ductwork and HVAC systems more often than most homeowners realize. Your family will breathe cleaner air after Lightfoot Mechanical has thoroughly cleaned your home’s duct work system. 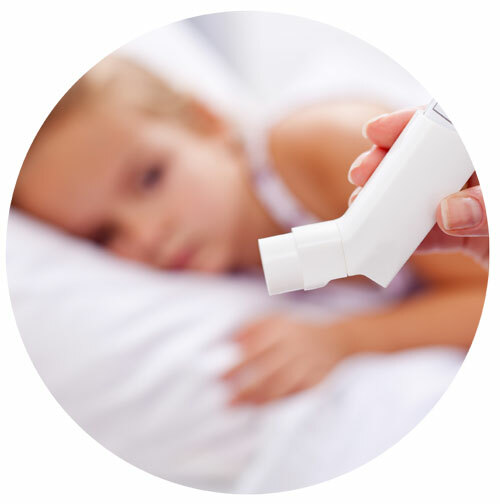 The Lightfoot Mechanical air duct cleaning process is particularly beneficial for allergy and asthma sufferers. Your home’s HVAC system will run more efficiently after our team has provided their duct work cleanings service. That means you not only get cooled air in your home but since you put less strain on your AC unit, you will also enjoy lower utility bills! Clean air ducting means a healthier home for you and your family! With over 30 years of experience in Weatherford, TX, Lightfoot Mechanical is our area’s trusted leader for all of your HVAC needs! Lightfoot Mechanical guarantees your satisfaction with our quality air duct cleaning services! If you see dirt or dust clinging to the vent covers, give us a call, and one of our trained professionals will be on hand to clean your dirty air ducts in no time. If dust and debris are blocking the airflow, then you want to make sure that your air duct is cleaned promptly. In order to avoid issues in the future, we recommend having your unit maintained on a regular basis, at least once a year. This will help to prevent a build up of contaminants in your home and keep your AC working efficiently. With over 30 years serving customers in the Fort Worth and surrounding areas, we have the skills and experience it takes to complete the job right the first time. Call the air duct professionals that Texas homeowners rely on, Lightfoot Mechanical – reach us on 817-596-0309 today! Call Lightfoot Mechanical! We can help you today with your home comfort needs!